Cyprus' variety at it's very best. Enjoy both the north and south coasts, contrasting in their beauty, along with the breathtaking Troodos Mountains region which is not to be missed. Upon arrival at Paphos or Larnaca Airport, collect your hire car and drive to the Library Hotel and Wellness Resort. Start with 4 nights on the north coast in the village of Kalavasos at the boutique Library Hotel and Wellness Resort, an ideal introduction to village life, tavernas and also offers the opportunity to visit the cities of Larnaca and Limassol. 4 overnights at the The Library Hotel and Wellness Resort, Kalavasos. 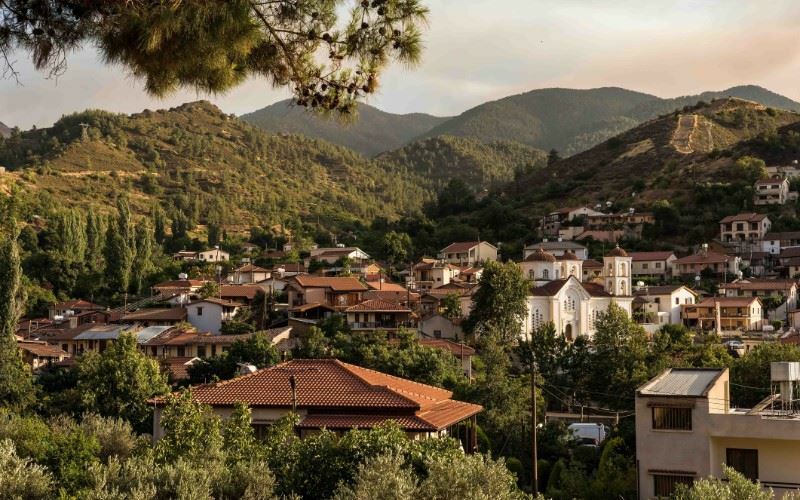 3 nights in the old medieval settlement area of Kakopetria in the Troodos Mountains at the Linos Inn. Soak up the mountain air, and frequent the cafes and restaurants in Kakopetria. You are also an easy stroll from the UNESCO World Heritage, medieval church of St Nicholas of the Roof. 3 overnights at the Linos Inn, Kakopetria. Finish with 7 nights in Latchi, right on the beach at the long established, family run Souli Hotel. It has an excellent taverna and you will also be within walking distance of other tavernas, cafes, the marina and harbour of Latchi. This is also an excellent base from which to explore the Akamas National Park. 7 overnights at the Souli Hotel, Latchi. Return your hire car at Paphos or Larnaca Airport ready for your flight back to the UK. This unpretentious family run, simple hotel with 50 air - conditioned (payable locally) rooms, boasts an exceptional location on Latchi's sand/pebble beach.